Meals For . . . Shani and Mayer Freedman scroll down to sign up... Admin Password: GO! Edit Notes • Print Notes Notes from Rachel Rabin . . .
Mazal Tov to Rabbi Mayer and Shani Freedman on the birth of a baby boy! Two adults, Five children. 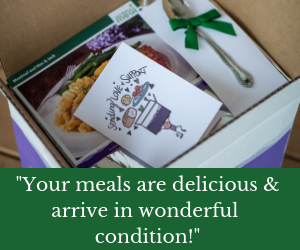 Please deliver meals by 5 PM. If you are unable to deliver to their house, please contact either Shani or myself to coordinate pick up of the food from Toco Hills. Thank you so much and Tizku L'mitzvos!! ALLERGIES: Tree Nuts, Peanuts, Coconut. Anything saying "May contain traces" is fine.